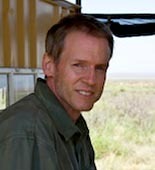 Fred Heeren has a reputation for writing about the everyday adventures of leading scientists so that readers wish they too could be out there making these discoveries. 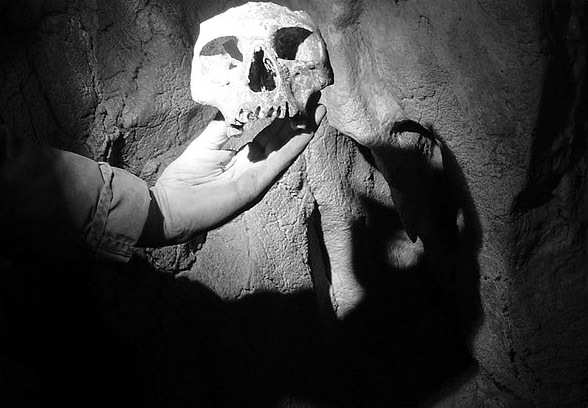 Heeren’s recent investigations have taken him to fossil sites that tell the story of life’s evolution — from early Cambrian and Precambrian sites across southern China, to the hominin findings at Koobi Fora, Kenya, to the Romanian Carpathians where he joined cave divers excavating the earliest modern human remains in Europe. He has covered science news for over a dozen newspapers, magazines, and science journals. 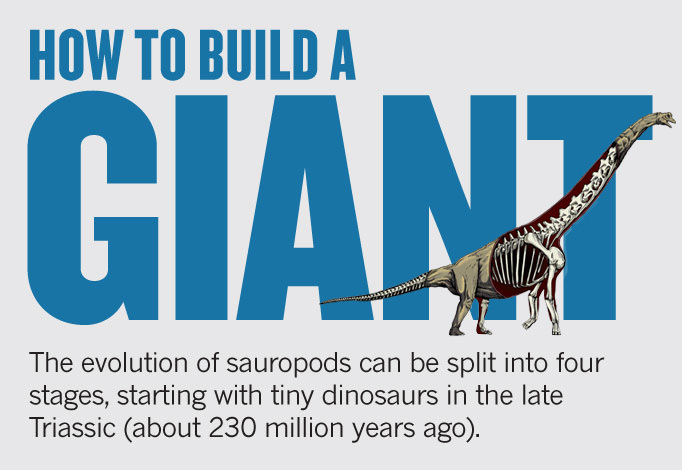 The sauropods were the largest creatures ever to walk the planet. But the keys to their success emerged in their tiny ancestors. Researchers have identified the anatomical novelties required for the unique gigantism of these animals, but they assumed that these specializations evolved with quadrupedalism and the explosion in size. Heeren describes recent fossil discoveries within each of the first three stages of early sauropodomorph evolution to show that the most critical anatomical novelties appeared in the small ancestors of the mighty sauropods, while they were still bipedal. East Turkana, Kenya — What unnerves Louise Leakey is not so much the banditry on the only supply road or the gun battles between herders who sometimes mistake researchers for their enemies — it’s the goats. When a fossil in the Lake Turkana region in northern Kenya makes its way back to the eroding surface after several million years, it’s just a matter of time before, as Leakey puts it, “a herd of 200 to 600 goats with those little hooves, four apiece, goes straight over it.” To lose this race against time is to lose specimens forever — including remains of our ancestors. "Caveful of Clues About Early Humans"
An expedition to the world's most inaccessible human fossil site has wrapped up in the foothills of Romania's Carpathian Mountains. From data gained, scientists hope to wrap up their case for answers to some of the most hotly debated questions about early humans: Did early modern humans make love or war with Neanderthals? Were Neanderthals intellectually inferior to us? A seven-member team hazards daily treks through underwater caves to conclude: Yes, early modern humans interbred with Neandertals 35,000 years ago. And no, Neandertals were not inferior. 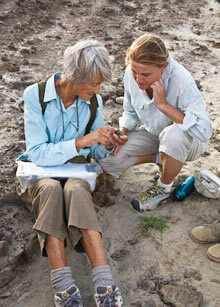 Other anthropologists examine the fossils and heartily disagree with both conclusions. Fred dives with the cave divers through narrow underwater passages to see how the researchers closest to the evidence got their answers.